Blog What’s the Difference Between a Music Library and a Music Publisher? Article previously posted on Sonicbids.com. 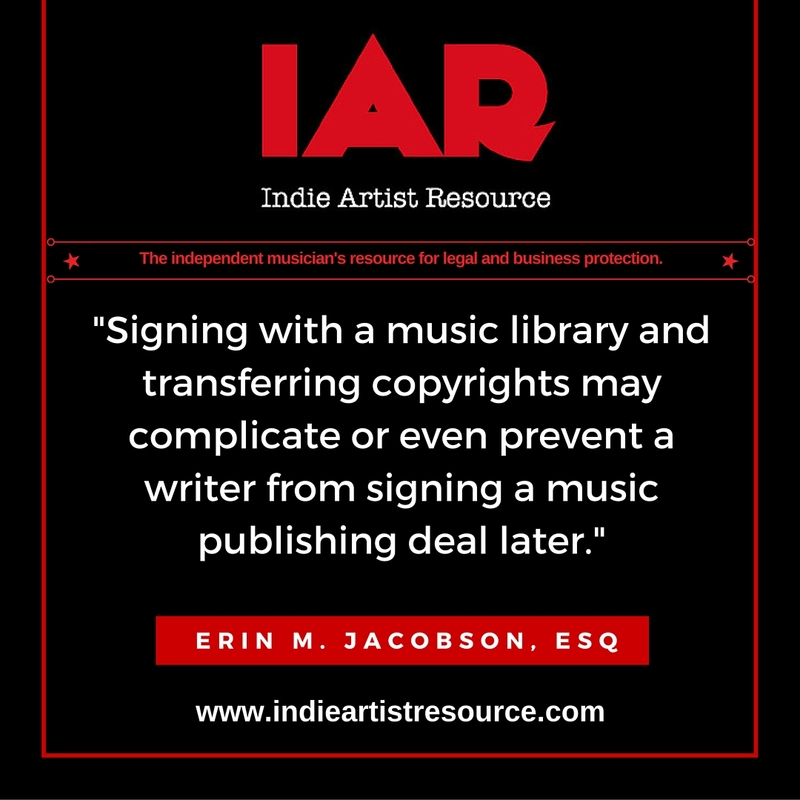 Erin Jacobson, erin m jacobson, indie artist resource, indie music, music attorney, music attorney los angeles, music law, music lawyer, music lawyer los angeles, music libraries, music library, music library contracts, music library deals, music publisher, music publishers, music publishing deals, tunecore. Bookmark.